Looking at Walterdale and today’s river valley parks it’s hard to imagine that the area was once an industrial hub. But a hundred years ago sawmills, coal mines and brick yards flourished here. And so did a small community of workers and their families. 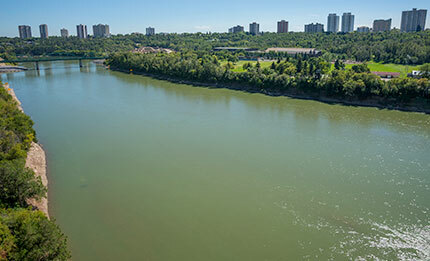 The North Saskatchewan River was the key to success as it both brought the raw goods and distributed the finished products. But Walterdale is a floodplain and in 1915 there was a flood so devastating people and businesses didn’t return to rebuild after the waters receded. Instead they chose to build on higher ground and the river valley was left to revert to (mostly) its natural state. 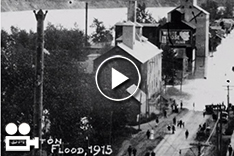 Watch the short documentary of the flood that devastated the industries and communities of the river flats.